I can’t quite put my finger on why this sign always makes me smile. It could be the fact that it’s on its own little podium. It could be the detail of the message, versus “staff only”. It could be the thought of the amusement promised by entering the window. 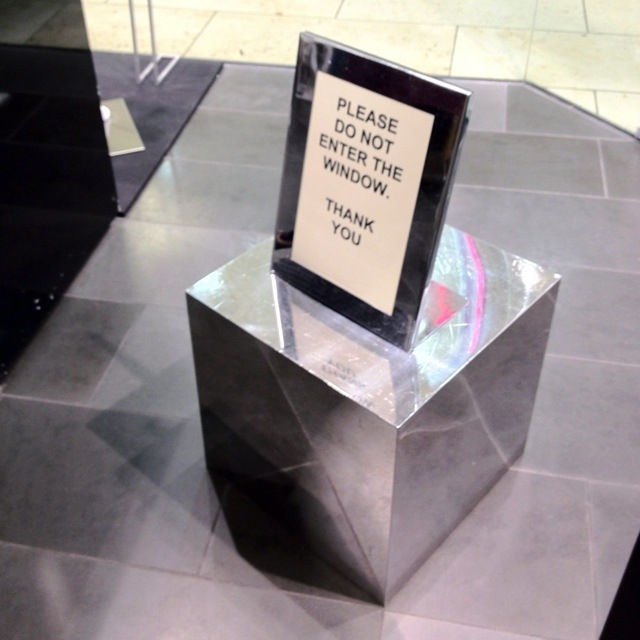 It could be the absurdity of the use of the word “window” versus “window display”. Whatever it is, it never fails to amuse whenever I catch it out of the corner of my eye. This 1,794th post was filed under: Photo-a-day 2012, Mango, Retail.